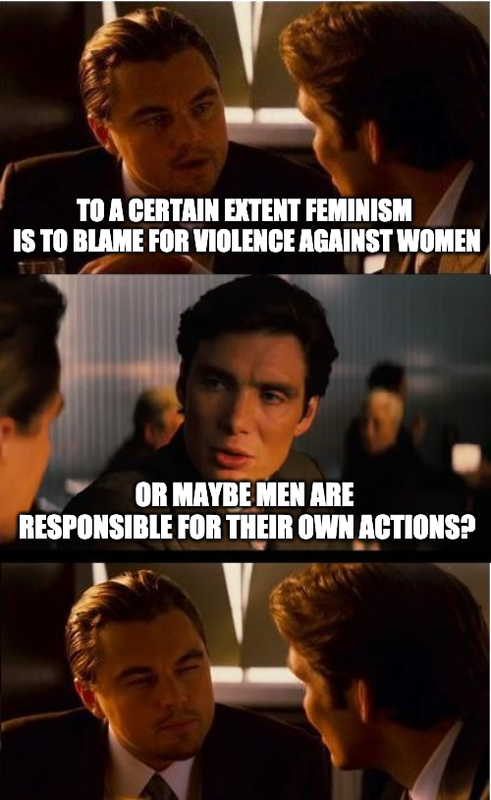 Feminism is the empowerment of woman, how in the world does that effect men. It’s an odd thing, these are the people in the past that would be playing dungeons and dragons together not harming anyone. Now they have their own incel chat rooms on 4chan, where I assume bad ideas are being tossed around. Some men need women to be meek and subservient. Otherwise they can’t have a wife or a girlfriend. The extreme example is what men do to women in the Middle East. It’s an odd thing, these are the people in the past that would be playing dungeons and dragons together not harming anyone. Now they have their own incel chat rooms on 4chan. The internet has created the ability for all kinds of groups of people to find one another and validate their beliefs. Yep, you can pretty much find a group that supports whatever twisted idea you foster somewhere on the net. The big forums like Reddit and 4chan allows them to create their own boards which expands this group think. 4chan takes it further by allowing users complete anonymity. This is why it’s pointless to post on these forums, because you Alinsky-ites love to twist everything and are 90/10 emotion/logic. You understand that this is a purely emotional response on your part, right? There’s no “logic” involved here. Feminism is the victim? Ok.
A concept cannot be a victim. Look at something like Gamergate. Online communities such as 4chan and 8chan, filled with extremely angry young men, were weaponized to target and destroy the careers of women. Go check out the online streaming site Twitch sometime and take a look at the rampant casual racism, sexism, and right wing ugliness that is pervasive in the chats of many of the larger steamers. I don’t google hate sites like you obviously, and won’t. You just showed you are another of those liberals who admit to hang out on hate sites. I’m sure that “logic” made sense to you, but perhaps if you try really, really hard you might be able to think of some ways that a person might obtain knowledge about groups without personally hanging out with them. Again, just ignore it and continue to educate yourself. I mean you play 10 minutes of call of duty online and you’re bound to hear some things you didn’t know existed. That’s why I mute 90% of the people I get matched with in online games. This is a bad situation that’s only going to get worse. Especially with our gun laws. Why are these young men doing this? Because they don’t have anything to lose. A married man with kids will think twice before committing such an act. Plus they don’t have as much resentment against women.